Do you know that all Igbos, in fact all the people from the former Eastern Nigeria called Biafrans are not Nigerians till date until referendum say so? All the Igbos and entire Biafrans legally became Biafran Citizens on the 30th May, 1967 via proclamation and Declaration of Sovereign Independent State of Biafra. The Republic of Biafra became a Country on that day with all her territories and Continental Shelf. Nigeria became a Foreign Country to Biafrans and Nigeria with active Support of Britain levied a Genocidal War against Biafra. In January, 1970 Nigeria criminally and illegally annexed and occupied Biafra land with sole purpose to enslave Biafran People and steal its vast Resources especially Oil and Gas without first conducting a Referendum. This occupation and annexation are totally illegal and Criminal under International Laws. Therefore, all Igbos and entire Biafrans are still Biafran Citizens till date until a Referendum says otherwise. Biafrans claiming they are Nigerians are doing so under acute ignorance and delusions. 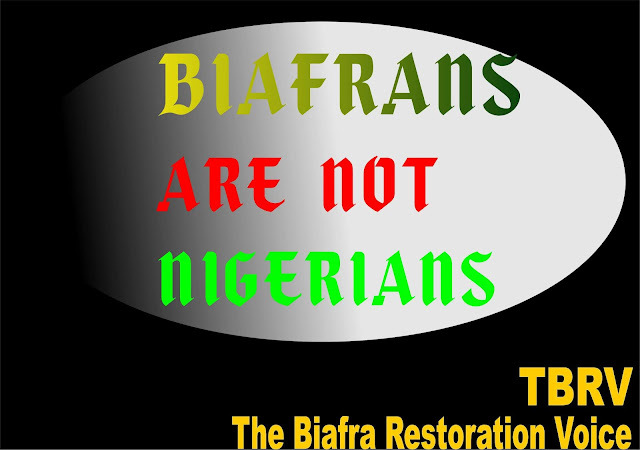 Biafra is the only Country illegally occupied in the World without a Referendum. Take for instance, in 2014 Russia occupied Crimea a former Ukrainian Territory. But Russia organized Referendum to determine the Citizenship of Crimea People and 98 Percent of the Crimea People voted to become Russians. And, there was a Switch of Citizenship of Crimea People from Ukraine to Russia and it became Legal and legitimate. Therefore, the World is shocked that the Igbos are still ignorant of the fact they are not Nigerian Citizens and Nnamdi Kanu has exposed this fact, yet, there is no spontaneous agitation and demonstration for Referendum and ultimate Restoration of Sovereign Independent State of Biafra. Dr. Nnamdi Azikiwe knew this fact hence he went to the United Nations headquarters in New York, USA in 1969 to file a Motion demanding for Referendum for people of Biafra. This Motion was blocked by Britain for sole purpose of perpetuating enslavement of Igbos to enable them invade Biafraland and Steal their Rich Resources especially Oil and Gas without any Resistance. All Igbos must know these facts. Biafra restoration is a done deal.